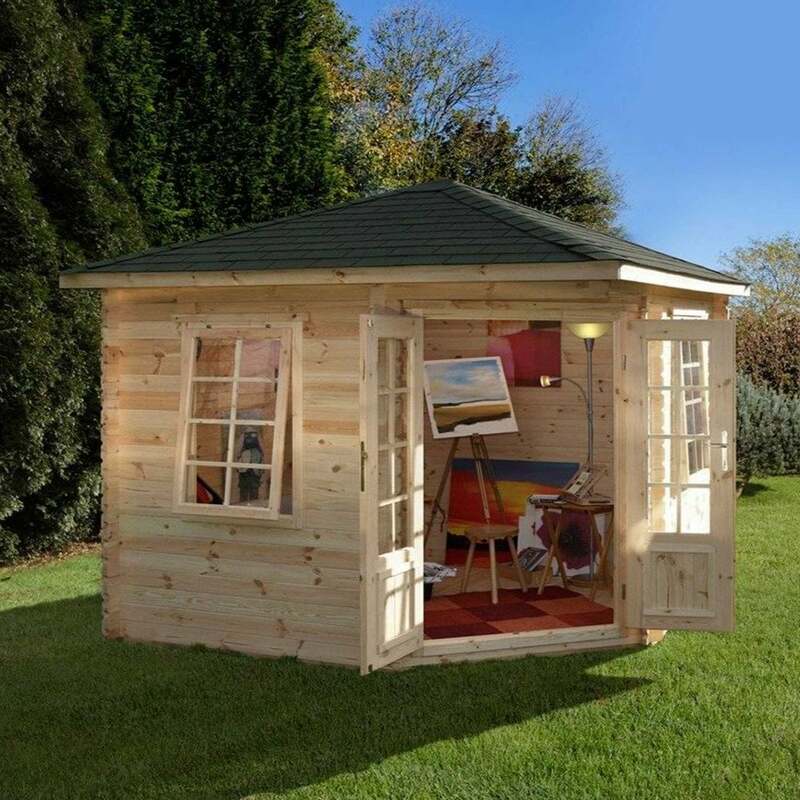 Forest Garden Wenlock Log Cabin 3.0m x 3.0m: The Wenlock Log Cabin by Forest Garden is a charming corner building perfect for using as a hobby room, garden office or gym, whilst still maximising the space in your garden. The 3.0m x 3.0m Log Cabin is manufactured from high quality 28mm smooth planed interlocking machined logs and 19mm tongue and groove boards for the roof and floor to ensure water resistance and stability. The Forest Garden Log Cabin features two single glazed, opening windows to allow plenty of natural light and keeps the interior properly ventilated. The Wenlock Log Cabin also feature Georgian-styled double doors which are attractively located on the cut off corner under an overhanging porch which enables you to enjoy the views of your garden.